November 13 News | Jobs in Audio, Film, Radio. 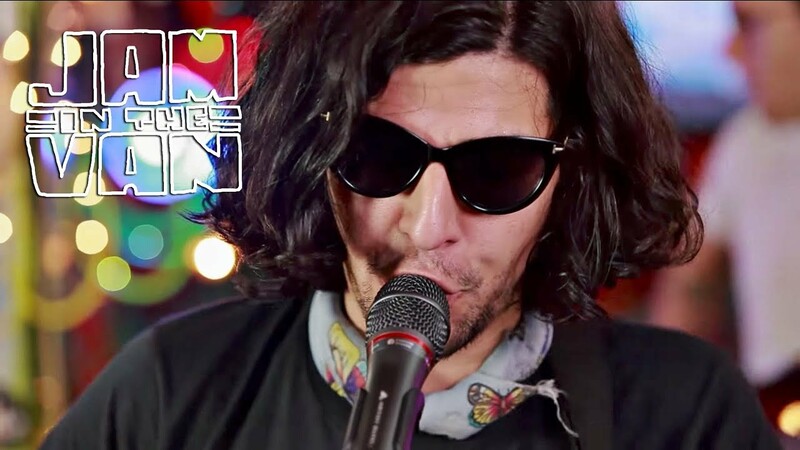 Master of the Hustle: Film Connection grad Joe Paciotti gets gigs on The Voice and other big sets! Recording Connection mentor Sheldon Ellerby is a true hip hop/R&B veteran—first cutting his engineering teeth on the pioneering hip hop scene of New York/New Jersey, then migrating to Atlanta, one of hip hop’s most prolific hubs. Over the years, he’s worked with many major artists including Ludacris, Patti Labelle, Anita Baker and many others. These days, he passes his vast knowledge to Recording Connection apprentices out of his Writer’s Room Studio in Atlanta, starting with the basics of analog to make sure they have a good foundation. In a recent interview with RRFC, Sheldon talked about his early experiences coming up in music and his take on the Atlanta hip hop scene today, offering key advice and insights for Recording Connection students along the way. RRFC: So how did you get started in music? What led you into doing what you do today? Sheldon Ellerby: I think around the age of nine I fell in love with hip hop music, and it turned me into wanting to be a rapper…During my progression of rapping, I decided to go to little makeshift studios in the neighborhood, and I saw how the process was done in order to create a song, and ever since then it’s just been my passion…I had an older brother who was real big into hip hop, and he actually started buying albums from, let’s say, go back to Boogie Down Productions, Rakim, LL Cool J, Public Enemy, and just anything that would be played on New York radio, where a lot of the hip hop radio stations would be playing it…I grew up in New Jersey, which is right next to New York…That just put me in that mindset that this is what I want to do. And after that, I had to understand how the process was done in order to create a record, a song, or a recording…with a 4 track and drum machines, and it was like, ‘Wow, this is how it’s done.’ And then from there, it just never stopped, and I progressed to doing production…I got a little 4 track myself, and then I’m recording in a little makeshift studio that I made in my parents’ basement, and I began engineering. Everybody in the neighborhood started recording at my house, and it just turned into a whirlwind of learning and passion. RRFC: So did you have that house where everyone wanted to come over and be near the studio? Sheldon: Yeah… [One time] I’m up at 6:00 in the morning with half of the neighborhood in the basement, and my mom comes downstairs and she said, ‘What is this?’ And it just was like, I was on my way, and like I said, everyone wanted to come over and record, and they saw it, and it was just me buying more equipment, bringing mixing consoles in the house, it was nonstop…I think the passion really pushed me to learn as much as I could, and this was before Internet, so you really had to go in and read and just pretty much brush shoulders with people who were doing it. RRFC: You’ve actually had the chance to work with some very notable artists. Can you tell us a little about that? What is it like to work with these kinds of artists? Sheldon: Angie Stone, actually I just finished her new project…That’s recent, maybe a couple months ago. So you should be hearing some stuff from that pretty soon…One person I can say that was really something huge for me was Ms. Anita Baker. I got to meet Anita Baker, and that ties into Ludacris. She did a song with Ludacris, and I had to come in and set her up, and she called in specifically to get certain tools for the recording session, which was a Sony C-800G and some Sony 7506 Pro headphones. So she specifically asked for these things, and I had to run around and grab these things from the rental service, and I got in, got it set up, and when she got there, she said, ‘Oh, fine. You got all my toys.’…And when she went to get on the mic, she said, ‘Could you add 10K to my voice?’ and, ‘Could you give me my reverb?’ and she threw all these things at me, and she was talking to me like an engineer, and I was like, wow…It was like I was talking to an engineer from the other side of the board…It was a real cool experience, a real humbling experience… I’m just very fortunate and I feel blessed to be able to work with certain artists…I treat people like people, and I think that, at the end of the day, if you do that, you can kind of just work with anyone and just kind of feel them out, and not let it go to your head…If you kind of give them that atmosphere, you start to see people for who they really are behind the fame and all the the songs and stuff. RRFC: Tell us a little about the hip hop scene there in Atlanta. What’s the scene there like? Sheldon: For almost 10 years now. Atlanta has dictated the way hip hop has sounded…The one good thing I could say about Atlanta, and that’s me being a northern boy, being up from New Jersey, is, when you get in Atlanta you really see how it has a sense of community, people are open arms and welcoming, just different with new people and new talent. It’s not like you’re subject to closing doors. If you come down here and you’ve got the talent and you can kind of mix in with certain people, people will give you the chance and the opportunity to show what you’ve got. RRFC: Let’s talk a bit about mentoring? What is your approach to breaking it down for your students? Sheldon: My approach, is really to give them an understanding on what are the principles of recording—and when I say that, I like to go back to not just the start, but going back to even eras where you had The Beatles, James Brown, and the Motown era. Everybody has the same principles of recording, and we still use those principles to this day. I try to get people to understand that it’s more than just running a program. Anyone can push a couple buttons and say they’re engineers, but if you don’t know how to identify distortion, like ‘Am I getting a good signal,’ or ‘What mic should I use,’ [and ask] ‘Does this mic complement his vocal tone?’…I like to go all the way back to the basics. And me being from the analog world, I’ve seen…the bridge to the digital world. I still try to incorporate a lot of the analog to this day, with the digital. So that way, you know, you don’t just get stuck in running plugins…That’s really my approach, is really trying to give you a little more of some history on music, and breaking it down to…give you a little more help to understand what we’re doing while we record. RRFC: Let’s pretend I go to your studio to interview with you. What qualities are you looking for in an apprentice? Sheldon: The main quality is the passion to learn and really be open-minded to learning. I’ve kind of been in the business for a while; people who have a good deal of arrogance, sometimes you just have to walk away from that. People who have that willingness to learn are usually the ones that I can kind of gel with. RRFC: Let’s say you bring a student into a studio session with an artist. How should apprentices handle themselves in that sort of situation? Sheldon: You want to conduct yourself in the most professional possible, make sure you don’t say something that’s going to rub someone the wrong way…[avoid] being star struck…A lot of artists and musicians come into the studio. It’s pretty much a safe haven for them, whereas they don’t want the paparazzi glitzing the questions. They don’t need that when they’re in the studio. They’re coming there for a purpose, so it’s best not to ask those questions that you want to ask, and really focus on the getting the recording done, focus on that process. Your input on recording shouldn’t be overwhelmingly present…I think it’s best to kind of reserve yourself a little, because it’s hard to say if they want your input. Because as fast as you get in that room, it might be even faster getting asked to be put out of the room…You really want to be like a fly on the wall. RRFC: Any final advice for our apprentices? How can they make the most of their experience in the studio? Sheldon: The best advice I can give is practice, practice, and more practice. If you learn something, go home right away and utilize it to the fullest. Repetition is what really makes us good at what we do in any profession. So if you take it and practice, and you use it with repetition, I think it will soak in. And also ask questions. Don’t be afraid to ask questions. 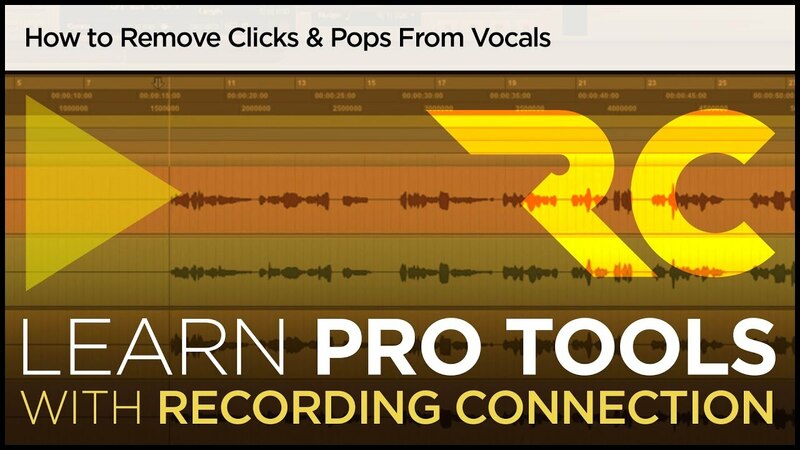 Pro Tools Tutorial: Get Rid of Those Pops and Clicks for Good!